One of the essential components of a healthy children’s ministry is a good relationship with the pastor and or pastors of your church. Whether you serve as a Sunday School teacher, a children’s ministry director, or a nursery worker, it is imperative that servants in any capacity work together to support the leaders whom God has appointed for the local church body. Pastors in today’s society do not have an easy job, but I suppose they never did. Scripture is clear as to a pastor’s specific responsibilities: administration, teaching the Word of God, shepherding, praying, counseling, making disciples, evangelism, disciplining, and resolving conflict. Add to that weddings and funerals, community service, and visitations and you have a hefty workload. It doesn’t help that pastors have to deal with people either – sinners at heart, saved by the unfathomable grace of God. The second Sunday in October is Pastor Appreciation Day. It is a day set aside to acknowledge and honor the pastor and/or pastors in our midst. I think that it would only be fitting to really celebrate our leaders on this particular day. However, I’m not quite certain that a day is enough. Don’t miss our pastor appreciation coloring pages. My father in law happens to be the pastor of our church, and he has been for 30 some years. I see first-hand the incredible workload that he has. He prays with people prior to their 5 am surgeries, he counsels couples on the verge of divorce, he prepares messages through in-depth Bible study, and he is involved with many of the church’s outreach programs. Now I am certain that he wouldn’t have it any other way. He loves serving God in these capacities. However, sometimes he looks tired and discouraged. And I’m sure that he is not alone. What if we did something marvelous to recognize our pastors more than one day a year? What if we made concerted efforts throughout the entire year to support our leaders? What would that do to encourage these men of God? Would our churches look different because our pastors felt respected and loved and supported? Hebrews 13:7 encourages us to, “Remember your leaders, who spoke the word of God to you. Consider the outcome of their way of life and imitate their faith.” On October 11th, I sincerely hope that the pastors of our churches feel recognized for their hard work. However, maybe this year, we can each step it up a notch and remember our leaders on a more regular basis. 1. 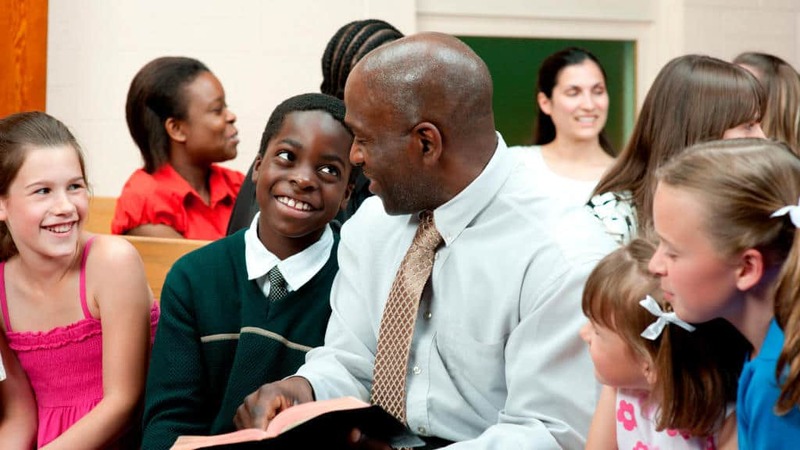 Communicate: Talk with your pastor about his vision for the children’s ministry. Make certain that you are on the same page. Ask for suggestions. Listen. Be open to accept feedback. Don’t burden your pastor with every problem that arises, but make sure that he is aware of any significant concerns. Thank him for his support of your programs. 2. Involve: Your pastor’s schedule will probably be a full one. However, don’t assume that he won’t have time to be involved in a particular aspect of the children’s ministry. Sometimes, pastors are brought in to handle only problems. It would be a delight if pastors could be brought in for the silly, fun, and ridiculous aspects of children’s ministry as well. 3. Respect: Honor your pastor by respecting him in the confines of your own home, in your classrooms, and in your communities. Speak highly of him and encourage the children in your ministry to do that as well. Demonstrate that respect through the hard work and humility of your own service to God. 4. Encourage: On a regular basis, write a thank you to your pastor for his work. Send a passage of scripture. Purchase him a gift card so that he can treat his wife to a special dinner out. Create something memorable like a quilt of thanks. Have the children in your ministries record their own unique messages or artwork in a scrapbook. Whatever it is, be creative and be generous! 5. Support: We can support our pastors by serving God for His glory and by working together as a team. If everyone pulls their weight, the burden of our pastors will be lifted. We can also support our pastors through the discipline of prayer. Make prayer for your pastor a regular part of your daily devotions. How Do You Show Appreciation For Your Pastor? What are some other ways that we can remember our leaders throughout the year? How has your church or children’s ministry honored your pastor in the past? Leave your comments below. Tony Kummer (Editor) reviewed & updated this page on : October 3, 2014 at 10:00 am. All our content is peer reviewed by our readers, simply leave a comment on any post suggest an update.